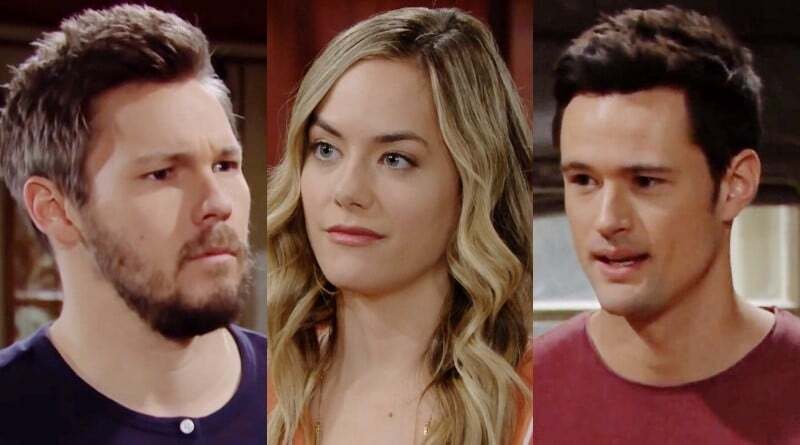 Bold and the Beautiful spoilers for the next two weeks show Liam Spencer (Scott Clifton) and Thomas Forrester (Matthew Atkinson) compete for Hope Logan (Annika Noelle) but both men don’t know it. Liam tries to bring the romance back to his struggling marriage with Hope. Meanwhile, Thomas (who has feelings for Hope) wants to win her so he uses work as an excuse to get closer to her on the CBS sudser. To start this dramatic week off, B&B spoilers for Monday continue with Flo Fulton (Katrina Bowden) finally learning who her father is. As viewers know, Flo’s father is Storm Logan (William deVry). So, she and Hope Logan are cousins. The Logan family’s reaction is excited and thrilled. Elsewhere in town, Bold and the Beautiful spoilers show Quinn Fuller (Rena Sofer) isn’t ready to let Bill Spencer’s (Don Diamont) past with Shauna Fulton (Denise Richards) go. She grills him about his past with her. Quinn wants all the details about Bill and Shauna’s past hookup. Bold and the Beautiful Tuesday spoilers continue with Bill as Quinn seeks information. Evidently, this leads to Bill learning why she is so hard on their son Wyatt Spencer’s (Darin Brooks) women. Seems her opinion of Bill makes her worry for their son. Meanwhile, B&B spoilers throw Shauna when Hope Logan mentions Phoebe to Flo. Shauna doesn’t know everyone thinks Flo is the adopted baby’s birth mother. This leads Flo to beg her mother to go along with her story, telling her the horrible truth in the process. B&B spoilers reveal Shauna Fulton flips out hearing about the baby switch from Flo on Wednesday. She’s upset her daughter would do something so horrible. Now that her mom knows, Flo begs her to play along. The two imagine what it would be like to tell Hope the truth in a fantasy segment. Elsewhere, Hope Logan and husband Liam Spencer talk about when and who should tell Steffy about Flo being a Logan. As previous Bold and the Beautiful spoilers hinted, it looks like Liam decides to take on this task. He may even do this as he contemplates a trip to visit Steffy and his daughter. Thomas Forrester tells his father Ridge Forrester (Thorsten Kaye) that he has feelings for Hope Logan on Bold and the Beautiful. Spoilers know this catches Ridge off guard, and he ends up quite surprised. As Ridge knows Taylor Hayes (Hunter Tylo) wants to pair them, he might keep this information to himself. Thursday B&B spoilers also show Liam Spencer fighting for his relationship to Hope Logan. Even though they’re still struggling from losing their daughter, Liam believes that they can conquer this. He knows that he can help Hope overcome the sadness she still feels. But another man, Thomas Forrester, wants his wife! Sally Spectra (Courtney Hope) and Wyatt help Liam Spencer, as well as comfort him, when he comes to them for advice at the end of the week say B&B spoilers. Liam Spencer wants to help Hope Logan, but he may need some guidance on how to do this. Luckily, Sally and Wyatt are always willing to help. Meanwhile, Bold and the Beautiful spoilers predict Thomas Forrester encourages Hope Logan to let Liam Spencer go off to Paris to visit Steffy and her babies. Thomas may have ulterior motives in this action, as he has feelings for Hope and may want her husband gone for the time being. 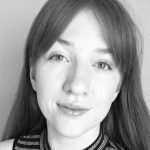 Things may escalate romantically between Thomas Forrester and Hope Logan when he decides that he wants to work with her on her line, Hope For the Future. According to recent Bold and the Beautiful spoilers, Thomas is ready to go back to work and tells Ridge he wants to work with Hope. As Thomas confesses the feelings he has for Hope to his father, it looks like he may have ulterior motives in wanting to work with Hope. He may want to be around her more, as Thomas has grown close to Hope. Thomas Forrester even began to rely on her, as Hope Logan and his son also connected. However, things may not go according to Thomas’ plan if Brooke Logan has a say. She knows that Taylor wants Hope and Thomas together, and that the two have a bond. So, she might try to keep Thomas away from her daughter as she strives to save Hope’s marriage, say new B&B spoilers. Liam Spencer is also trying to save his marriage on Bold and the Beautiful. Spoilers for the next two weeks have him upping his game in the romance department. Liam knows he and Hope can survive anything, so he tries to shower her with love. He set up a romantic evening for the two of them, and she tries her best to not ruin it. She knows that she’s made things difficult for her husband, so she tries to put him first during this romantic night. However, things could fall apart quite easily as Thomas Forrester interferes with them on the CBS soap. Return to Soap Dirt often for all things Bold and the Beautiful. ‘Bold and the Beautiful’ Spoilers: Hope and Liam Jump Ship?